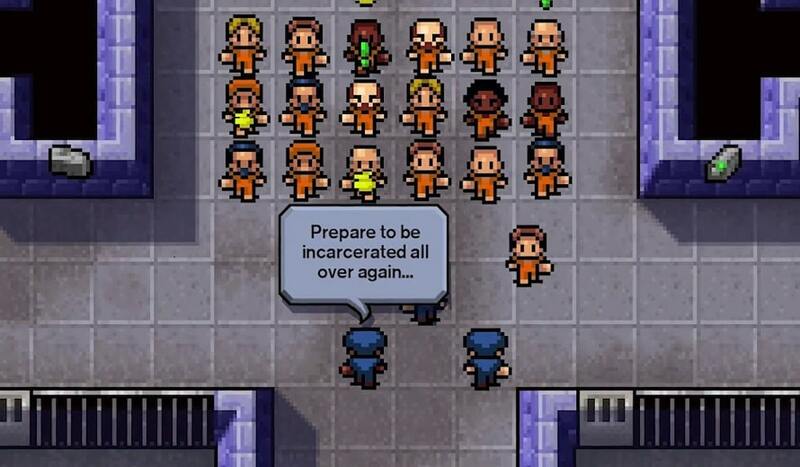 The Escapists: Complete Edition is an 8-bit prison simulator that has a lot of humor and lots of things to do besides trying to break out of the joint. What exactly makes it the complete edition? 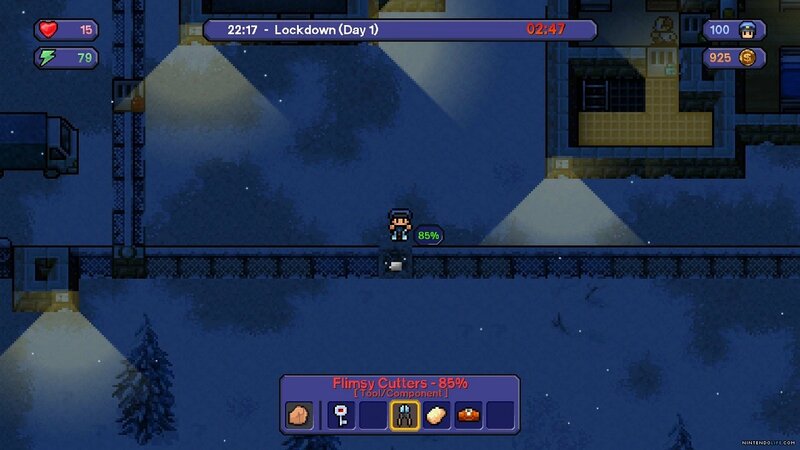 It has all the DLC for The Escapists, including Fhurst Peak Correctional Facility (which was previously a PC exclusive), Alcatraz, Escape Team, Duct Tapes Are Forever, and Santa’s Sweatshop. This version on the Nintendo Switch is the most content on any console for this game and brings the map count to 15 that all have multiple ways to escape from. 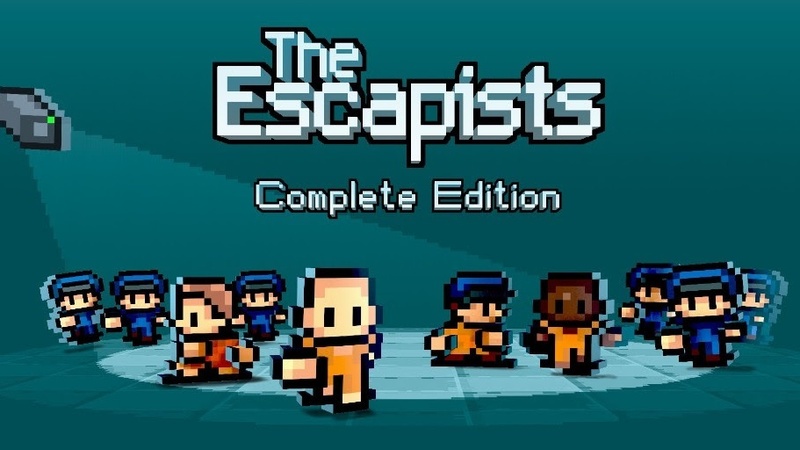 The Escapists: Complete Edition has the primary objective of escaping from each prison, but there are so many things to do while inside. You start off by picking your character from pre-made selections and select the prison you wish to play. The tutorial is also offered at this point. There are 10 different jobs you can do while on the inside, like doing laundry (which I was fired from) and working in the cafeteria. You can barter with other inmates for items you need to craft other items that you can use to barter with others or to use in your mission to escape. 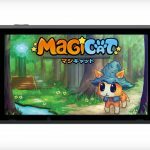 The game also has a crafting system to create weapons and other items that you will need. It reminds me of Minecraft in a way, except you cannot cut down trees to get wood, you simply have to find what you need. This may be done by searching in inmates’ desks, trading, or getting it from inmates that have been knocked out. During all of this, you have to do your regular tasks: meals, work, head counts, workouts, sleep, and showers. Not complying with this will also makes the guards suspicious of your actions. This daily routine alone will keep you busy! There is an optional tutorial mission, but I find it to be lacking in many ways. It does teach you the basics needed to escape, but it lacks on explaining important tasks you need to know how to perform in order to progress. It needs to have more on crafting, along with interactions with other characters in the game. The controls are very simple, but the issue I have with them is how they overcomplicate interactions with others characters in the game, either inmates or guards. Most of the actions that are needed for you to complete are done in menu, and this seems like it could easily be done with the unused buttons on the controller. 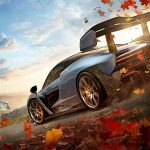 Another small issue with the game is the crafting. At one point I was asked to find a poster for another inmate. I spent a lot of time trying to search the prison for the poster until I stumbled upon a phone and found I could use the money I had earned to learn about different items that could be crafted. It was at this point where I learned that I had to make the poster. On the other hand, the game does give you a way to learn what is needed for the crafting aspect. I do appreciate that the game does not do a lot of hand-holding to teach you to play. This provides the extra challenge of trying to figure out different ways to escape. I would have to say the biggest aspect of this game that made it enjoyable was the humor. The funniest moment I encountered was while looking for items; I saw a pop-up letting me know I could go to the visitor’s area and have some visit me. It turned out that I had a visitor that was either my character’s wife or girlfriend, and she started telling me how she fell in love with someone else: the milkman! Interactions with the guards and other inmates also provide a lot of funny moments through direct interactions between your character and others or interactions between other inmates and/or guards. Another interesting event in the game is when the guards do roll call and announce who will have their cells searched. If a cell is searched and contraband items are found, they will be removed. This adds another layer of strategy to the game. Some items you may need might only be sold by another inmate, and sometimes they will not sell you anything depending on your relationship with them. I did have one inmate that would fight me every time he was near. The biggest downfall to this was, much like when having your cell searched, going to the infirmary after a fight would lead to you losing any contraband you might have on you. The combat system is simple but done in a favorable way. You simply press the Y button to attack with any selected weapon or your fists. Your health is raised by working out in the gym (which is part of your normal daily routine). The other inmates are always fighting with each other, and sometimes they fight with the guards. Strangely, it seemed that there were not very many opportunities where you would find an inmate knocked out after a fight that you could either get items from or plant contraband on them so you don’t get caught with it. There was also a moment where I ended up in a fight with another inmate due to being caught in his cell looking through his desk. Team17 really did think of everything when it comes to this game. 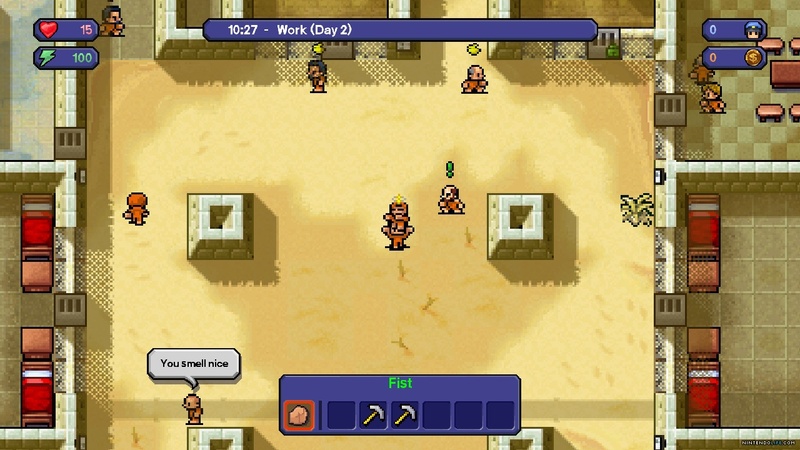 The Escapists: Complete Edition gives you a lot to do with all the included content, along with the different ways to escape all the prisons. With the witty humor and the challenge of figuring out how to escape, you get a toned-down but fun version of your insert-your-favorite-prison-drama without all the gore or other unnecessary elements. The simple controls could be more effective if another method of character interaction could be added.